Emerald green wheatgrass juice meets cool ice cream for a verdant take on the traditional affogato. Affogato (Italian for drowned) usually refers to vanilla ice cream drowned in a shot of espresso. But don’t worry! 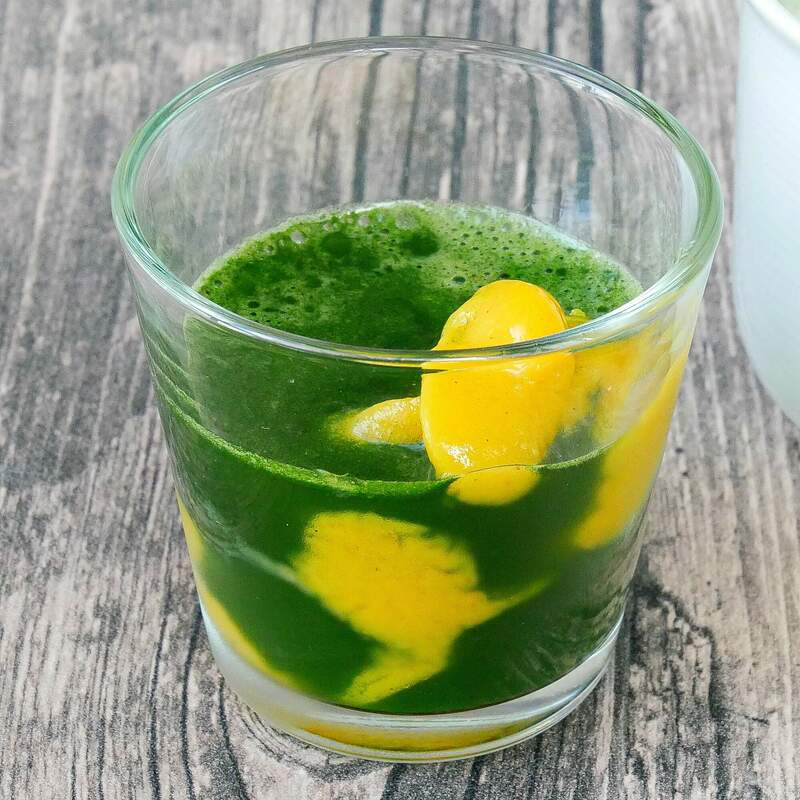 If you don’t have wheatgrass juice powder or barley grass juice powder at home you could just as well make this super delicious drink with matcha powder (in that case, preferably with nice cream). Whisk the green juice powder into the coconut water. If you have you can also use fresh juice of course. Spoon the mango ice cream into a small glass and drown it with the wheatgrass juice.